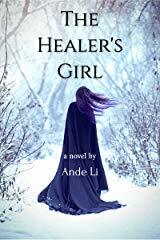 In The Children of Xon, Ande Li takes you back to Xon in this companion book to The Healer's Girl. 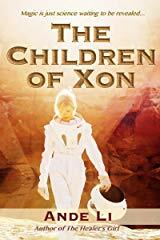 Xon is a tiny, primitive, insignificant speck of a planet, unworthy of notice.It is also the adopted home to the most powerful beings ever known. They were safe and hidden for millennia, but an ancient evil has tracked them here. Their discovery would signal the end of Xon, and the galaxy. Ande Li's first solo work has been a big hit with sci-fi and fantasy fans alike. Available for purchase at Ande's author page on Amazon.com and on Smashwords.com. Kormèr Lezàl is a young man living a double life on his planet Elmar. Privileged by birth, he seeks to correct the injustices of his feudal world by becoming a specialist in "wealth redistribution." One day he finds a most wondrous, miraculous device, which can open a portal to any place and any time in the universe he can imagine, and far beyond. 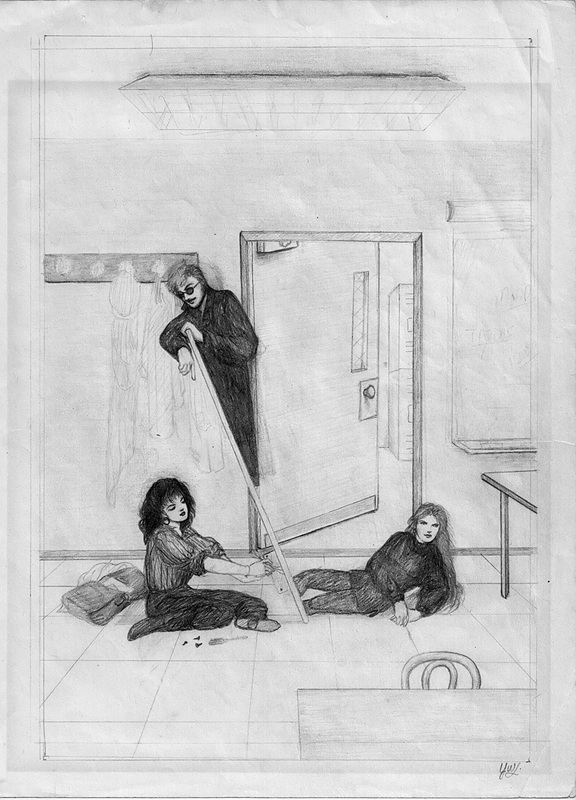 During a moment of romantic indiscretion, Kormèr is forced to flee through the device. Thus begins a journey unlike any he's had before. Jeransy is a thorny English rose seeking escape from her dystopian, oppressive world, and when she finds her means, she intends to never go back. Anndrew is a bored teenager seeking excitement in modern-day America, which she finds in the form of an alien who promises her the trip of a lifetime. Cecil is brilliant, driven and alone. 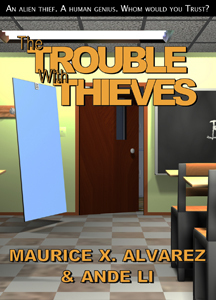 Picked on by bullies and misunderstood by his family, he is willing to risk everything to prove himself. When fate deals him the opportunity to seize power beyond his wildest dreams, he decides that nothing will keep him from his chance at greatness. When he learns that Kormèr Lezàl is on his trail and intends to take him back to Earth... well, he's not going without a fight.